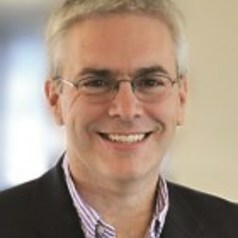 Jonathan Grant is the Vice President/Vice Principal (Service) at King’s College London and Professor of Public Policy. Service has been identified as one of five strategic priorities in King’s Strategic Vision 2029, alongside Education, Research, London and International. Service encapsulates King’s commitment to society beyond education and research and will enable King’s to realise its vision to make the world a better place. Jonathan’s main research interests are in biomedical and health R&D policy, research impact assessment and the use of research and evidence in policy and decision making. Jonathan was previously Director of the Director of the Policy Institute at King’s, President of RAND Europe and Head of Policy at the Wellcome Trust. He received his PhD from the Faculty of Medicine, University of London and his B.Sc. (Econ) from the London School of Economics. Jonathan’s main research interests are on biomedical and health R&D policy, research impact assessment and the use of research and evidence in policy and decision making. Jonathan has significant international experience providing analytical support on the formulation and implementation of R&D strategies in, for example, the UK, Greece, Norway, Qatar, Oman, Australia, Canada and the USA. Jonathan co-founded the International School on Research Impact Assessment, is an advisor to Giving Evidence, an organisation that aims to ensure charitable giving is based on sound evidence, and a Trustee and Chair of the Grants Committee for Fight for Sight, a UK-based medical research charity that dedicated to pioneering eye research. In 2013, he co-authored a book, ‘The Drugs Don’t Work’, on the global threat of antimicrobial resistance. The book, written in collaboration with the Chief Medical Office of England, Professor Dame Sally Davies, and an expert in infectious diseases, Prof Mike Catchpole, was serialized by The Sunday Times and featured in the New Statesman and The Scotsman. Jonathan was President of RAND Europe between June 2006 and October 2012, where he oversaw the doubling of RAND Europe’s activity in Europe, the founding of a vibrant and successful office in Brussels, and the establishment of the Cambridge Centre for Health Services Research, a joint venture with the University of Cambridge. Prior to joining RAND in 2002, Jonathan was Head of Policy at the Wellcome Trust.